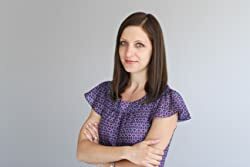 Laura McHugh is the author of The Weight of Blood, winner of an International Thriller Writers Award for Best First Novel and a Silver Falchion Award for Best First Novel: Literary Suspense. The Weight of Blood was named a Best Book of the Year by BookPage, the Kansas City Star, and the Sunday Times (UK), and was also nominated for an Alex Award, Barry Award, and GoodReads Choice Award (Best Mystery and Best Debut). Her second novel, Arrowood, was published in 2016. A lifelong Midwesterner, McHugh lives in Missouri with her husband and children. Click here for more stories by Laura McHugh. When Arden Arrowood was a little girl, her younger twin sisters vanished without a trace. The last Arden saw of them was a flash of blonde hair, speeding away in the back of a gold car. A local man with a car fitting the description was questioned; nothing could ever be pinned on him, but the whole town thought he was guilty anyway. The girls were never found, and their loss became a wound that destroyed the Arrowood family and continues to haunt Arden, now in her twenties. Then her father dies, and Arden learns she has inherited the family home, also called Arrowood, in Keokuk, Iowa. Reeling from academic and romantic troubles, Arden decides to go home and regroup. But the old house is full of secrets, and Arden soon learns that there might be more to her sisters’ disappearance than she realized as a child.